Guided Wave testing is method of NDT for evaluation of corrosion damage and other defects in elongated structures, such as pipelines and buried pipe. The method employs mechanical stress waves that propagate along an elongated structure while guided by its boundaries. This allows the waves to travel a long distance with little loss in energy. 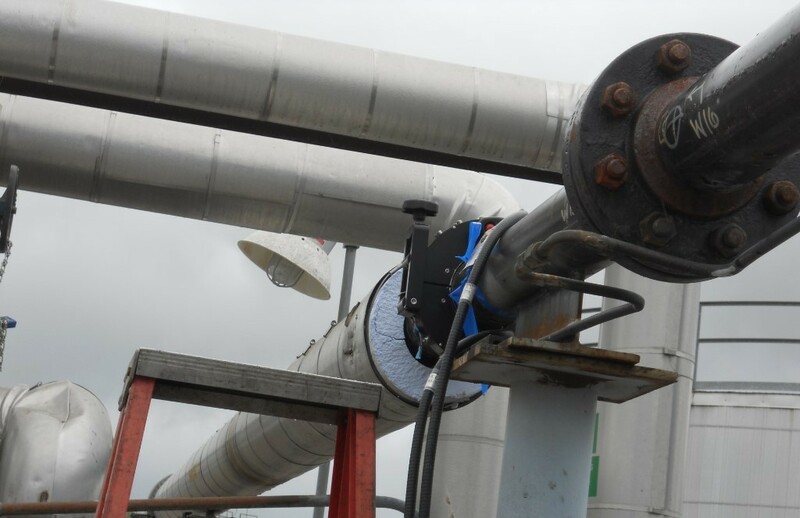 ​Guided wave ultrasonic testing detects corrosion damage and other defects over long 10 ft – 200 ft distances in piping. A special tool (transducer ring) is clamped around the pipe and transmits guided waves in both directions along the pipe. Reflected signals from defects and pipe features such as welds are received by the transducer ring and sent to the main unit. 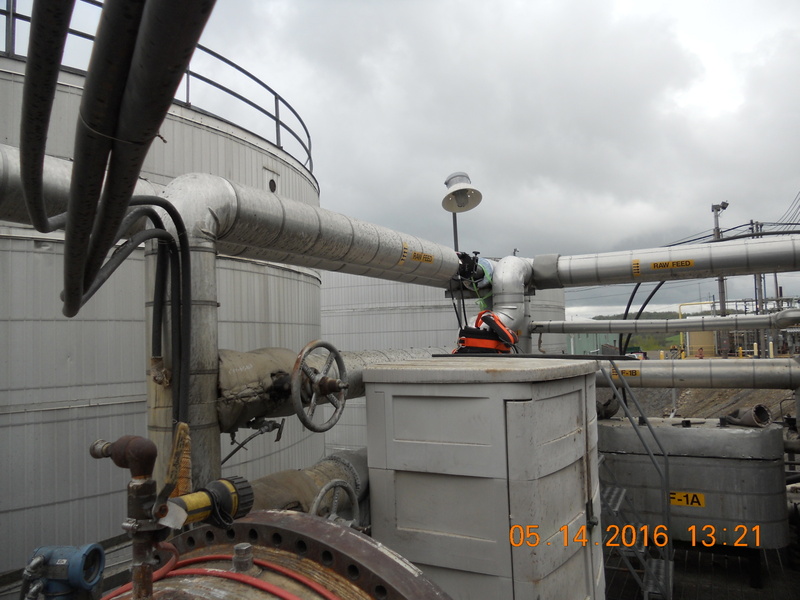 · Insulated pipe up to 900 degrees F.